White Toray fiber is one of the softest and typically used in watercolor. 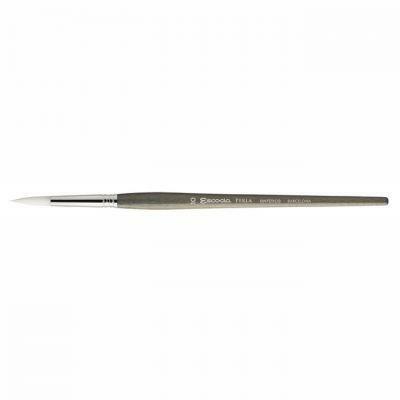 The round brush combines three diameters and three different lengths, achieving a perfect tip. It has a capacity to retain a large amount of paint. If you want a synthetic watercolour brush with a good point, this is the one for you. A very nice brush to use, soft and retains a fair amount of liquid. Great brush with a good point and nice finish.